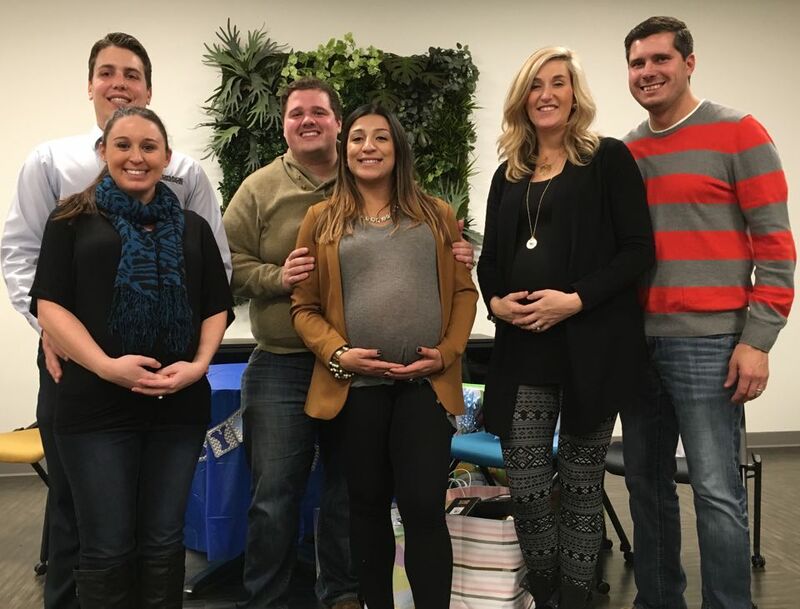 Last Friday, we celebrated a milestone for three lovely couples by throwing them a triple baby shower. From left to right: Tacito & Meagen Loschiavo are expecting a boy on Jan. 30th; Drew & Ellie Allen are also expecting a boy on Dec. 24; and Brady & Shannon Evans are expecting a surprise on Jan. 1st. As a bachelor with the closest thing resembling a child being my Dobie, I've been learning a lot about the ancient traditions associated with bearing a child, such as diaper parties, push presents, baby shower games, and many other fun pregnancy rituals. For example, records indicate that the origin of the Push Present dates as far back as the year 2003 (wow!) and is shrouded in conspiracy. It is a present a father gives to the mother to mark the occasion of her giving birth to their child. Some say the tradition was manufactured by the jewelry industry in order to sell more goods, however evidence is scarce. Come on people, that's like saying Hallmark has invented holidays to sell more cards! 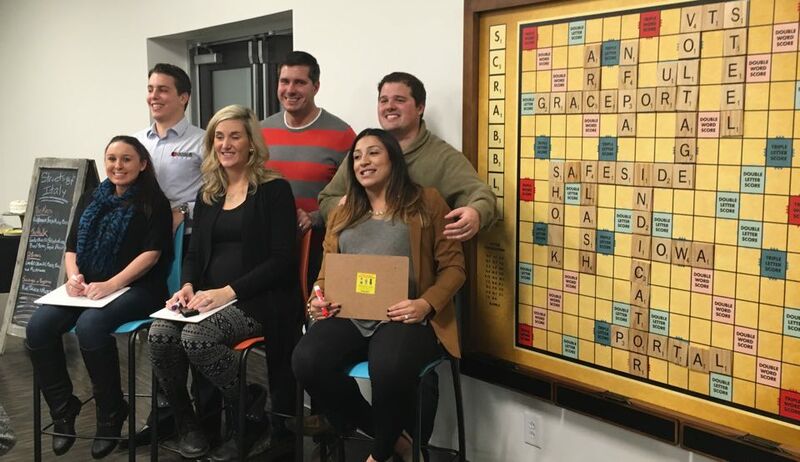 In the photo above, the couples are preparing for the first game of the evening (not scrabble), which should rather be dubbed as a trap. The second game involved chocolate in diapers and players had to guess the type of chocolate in each one. Those images were a little too sensitive for our mild midweek blog. Lastly, we blindfolded couples and challenged them to put diapers on stuffed animals. Things got weird. Following the shenanigans, the couples got to open baby presents. But watching the first game had us all in stitches! They were all asked a question and each couple had to show the same answer on their respective dry erase boards. Questions ranged from, "Where were you when you told your husband you were pregnant?" to "Which grew faster; the belly or the behind?" It's a trap! The answers were hysterical especially when the hubbies were wrong. One thing they all collectively agreed upon was who would be the most likely candidate to forget their child somewhere. The men turned their boards around, presenting two letters, "ME". 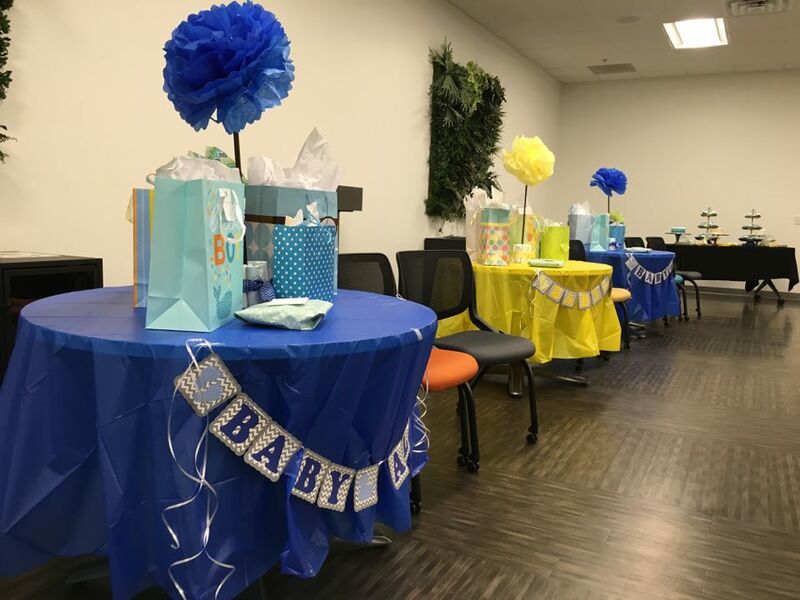 I was pretty blown away by the amount of work that went into the baby shower. They went all out and it was incredible. When I was nominated to throw Drew his diaper party, I had no idea what I was in for and was terrified. Turns out a diaper party is much easier to do than a baby shower. According to Wikipedia, Diaper Parties are "more oriented towards drinking beer, watching sports, fishing, or playing video games" (so... just men being men?). That was about the extent of my research before I made a reservation at the local bar and grill and instructed everyone to bring diapers. Grace's SafeSide brand R-3W series Voltage Indicators has become an addition to the Rockwell Automation’s product configurator, Proposal Works. This product addition gives the ability to the distributors and end customers to select R-3W series voltage indicators as a factory modified option when choosing Allen-Bradley’s MCC product families. 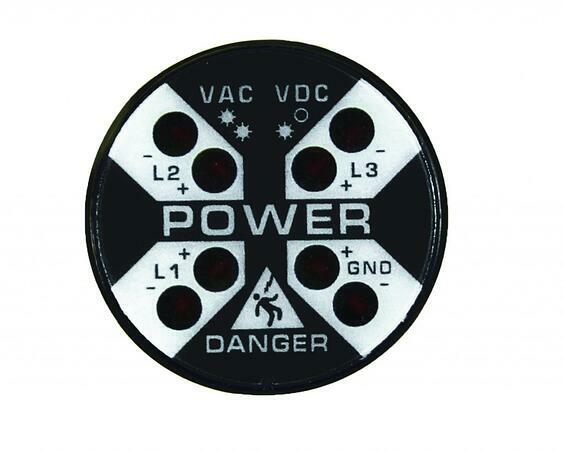 The Voltage Indicators are currently available to order in the enclosed product families of Motor Control, NEMA, and Solid State products. The teams at Grace and Rockwell product groups are working seamlessly on the feasibility of adding R-3W series voltage indicators to other enclosed product families. Had a triple baby shower party here last week for the parents-to-be of Grace & Letter2Word. It was hilariously fun. Learned the differences between diaper parties and baby showers, and therefore, men and women. We're also pleased to announce the addition of one of our products, SafeSide's R-3W series, being included in Rockwell Automation's product configurator, Proposal Works. This allows the product to become a factory modified option when choosing from Allen-Bradley's MCC product families.